Leslie has 40 years’ experience in drilling, crushing and processing, earthmoving and, also, in the supply of extractive and material-handling equipment. He was Region Ireland Manager for Metso Minerals for six years. Currently, Leslie is the Director of Services at ECS Turbowash Ltd, suppliers of component spray-washing equipment to the engineering, remanufacturing and print industries. 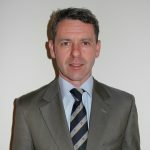 He is a Fellow and the Honorary Treasurer of IMQS and a Board Member of the Lucan Centre. 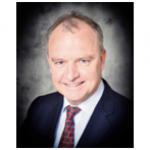 He is a past President of the Irish Mining and Quarrying Society and a past Board member of the Institution of Engineers of Ireland: Extractive Industries Division. In a previous role, he acted as Chairman of the Ovoca Manor Adventure Centre.